→Earnably Review – Scam or Legit? Earnably Review – Scam or Legit? In this review, I would like to show you the main features of Earnably and how much money you can earn with it. Is it worth your time and effort? Does it pay? Or is it a scam? As you will see, Earnably won’t pay you much for your time and effort. If you want to follow the same strategy I am using to earn $900/mo (and growing), don’t forget to check out my #1 recommendation. 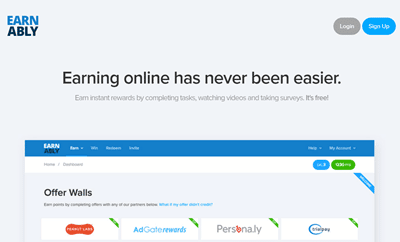 Earnably is a reward site where members get paid for completing surveys, micro tasks, and offers from more than 30 partner companies. The platform has been running since 2015 and is similar to others I have already reviewed on this blog such as PrizeRebel, InstaGC, Grabpoints, and iRazoo. When you complete an offer or take a survey, you will earn points that you can redeem for cash rewards or gift cards. There are lots of options to make money available. 3 popular methods to redeem your points – Paypal, Amazon gift cards, and Bitcoin. You can find it hard to qualify for surveys. 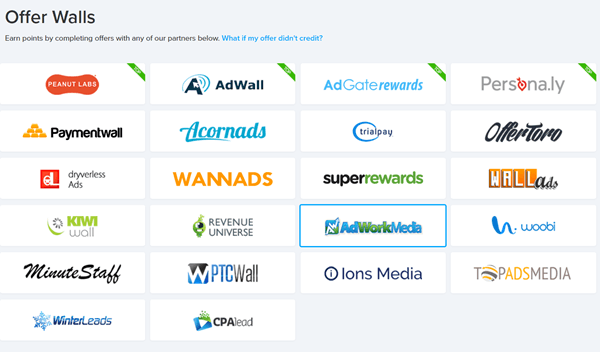 After you sign up for free and confirm your account, you will be directed the dashboard, which includes all the partners that provide de offers. On the menu, click on “Earn, ” and you will see yet more options to make money. 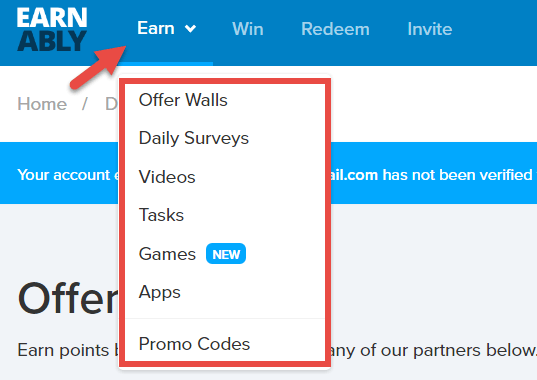 When you click on one of them, it’s like entering another reward platform with its own offers, surveys, and micro-tasks. You will notice that the same offer can appear in different Offer Walls, but you can just complete it once. I am not going to cover all the different types of offers here. But I want to warn you that a lot of trial offers ask for a deposit or your credit card details. So, you can lose money if you are not careful! For example, when you sign up for a free 14-day offer, you will probably have to sign up with your credit card details. That means you will be charged a fee for the first subscription month if you don’t cancel before the free trial is over. So, my advice is read the terms and conditions carefully and keep track of each offer you complete. How much can you earn? Well, it depends, but you should not expect much. Some offers will pay you less than $1 for a simple sign up, while offers that require an initial deposit can give you more than $10 worth of points. You can complete new online surveys every day from around 7 different panels. Each panel will show you how the average length of a given survey and how many points you will get. I have tried over 70 online survey panels and never seen any survey that paid more than $3. Usually, you will spend more than 10 minutes just to earn a few cents. Not to mention you will get disqualified frequently, so will actually end up spending more time than you think. Yes, you can also earn some points watching videos! 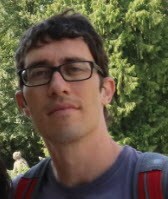 These videos are also provided by third party sites such as Engageme.tv, Videoloyalty, and Videolab. Earnably doesn’t explain you this, but you have to sign up with these companies and link to your Earnably account in order to get credited. Most of the times you will make less than 1 cent for watching over 1 minute of video. I don’t think it’s worth it! Earnably has partnered with a popular crowdfunding company called CrowdFlower. This company which recruits people all over the world to clean, label, and enrich data. There are many different micro jobs available inside CrowdFlower. One very common is the categorization of products. Because the jobs are simple and can be done by anyone with no specific knowledge or skills, the payment is very low. In fact, this is one of the worst-paying “jobs” on the internet. It’s possible to earn points playing games and downloading Apps. I don’t recommend playing games as a way to make money online because it’s pure gambling and you can lose a lot of money. When you refer other people to join Earnably, you will earn 10% of everything they earn within the platform. In order to get referrals, you should encourage people to click on your unique affiliate link and sign up. It’s possible to earn up to 20% referral commissions, but only after you reach level 3. You can level up by completing a given number of offers, depending on which level you are. The minimum cashout requirement is only $1, and you can redeem your points via Paypal, Amazon Gift Cards, and Bitcoin. Earnably is a legit rewards platform. The cashout requirement is very low compared to other platforms, so you should not take long to get paid. If you want to complete simple tasks and earn some extra cash, you can sign up for free and give it a try. I am my own boss, so the profit is all mine. I can attract people over the world to my website. 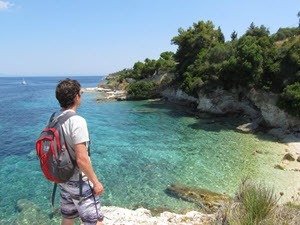 My site earns me passive income, which allows me to scale the business AND have more time freedom. Today, anyone can start a website because it doesn’t require web design skills and coding like in the past. There are many ways to make money with a website, but I like the affiliate marketing model. With affiliate marketing, I get paid for promoting other people’s products. So, when people visit my site and purchase the products that I believe are awesome for my audience, then I make a generous commission. So, when people visit my site, enter the merchant’s site via my affiliate links, and purchases their products, I make a nice commission. If you want to build an affiliate website, then check out my #1 recommended platform. It will give you step by step training, support and all the essential tool to start and grow your online business. By the way, you can sign up for free and get 10 lessons, 7 days of support and two subdomain sites. Click the link below to learn more about it. Click Here and Check Out My #1 Recommendation! Thanks for checking out my Earnably review. If you have any thoughts or questions about it, feel free to leave a comment below. Hi Stefan, great review. Thanks for putting in the time and research in checking this platform out. I tried with 20cogs and found that the cash rewards were unreliable and not enough to warrant all the time spent doing the surveys and tasks. Would you say Earnably is good to have as another source of income to WA or is it better to just concentrate efforts solely on building a website? I would definitely concentrate and spend all my energy on building the website with WA. If you think your site has the potential to earn you a decent income in the future, then the more you work on it, the faster you will reach your goals. It takes time, I know, and that’s why you want to take every opportunity of free time to grow. When you are not working on your site, just rest and save your energy because Earnably doesn’t have the potential to change your life. That’s my honest opinion. I’ve never heard of Earnably but it does sound intriguing. Also clicked through to your #1 recommendation (WA) and they seem pretty cool. I’m new to this online income thing (I have a website of my own) but I’ll definitely be looking at the affiliate models you spoke about and be checking your site for more! Thanks! Oh, would you recommend the Earnably for people outside of the US with internet access? I know some people out there may consider their payouts more worthwhile. HI Champ, thanks for your comment. Wealthy Affiliate is a great option for those who are serious about making money online. Earnably is available Worldwide. If you live outside the US, you may find the payout from micro tasks more worthwhile. As for online surveys and offers, I don’t think the payout will be better than the US because it will always reflect the currency in your country. In other words, regardless of where you live, you will never earn a substantial income with online surveys and offers. This and other survey sites like pay less than minimum wage. There is to much effort for very little gain. I agree Maurice! In my opinion, it’s much better to go for internet marketing as you have the potential to make passive income and eventually be able to work full-time from home. I think the most common issue with reward sites is the possibility of having your account blocked accounts. Earnably’s terms and conditions states they will only terminate your account if you do something against their TOS, such as using VPN services and trying to create multiple accounts. You’re right, they are similar! I wholeheartedly agree with this review. I tested the site to see if I can get at least one Amazon gift card. They had $1 denominations at 125 pts. Now, I made the required number of points solely by doing Minutestaff clicks. Cashed out on Thursday and today it is still pending. This forced me to cancel the request and request it again. They did say it takes a maximum of three days to receive payment but mine was approaching the end of the time frame. Not a good indication. Something tells me that Earnably will not be a reliable site to earn from. Which is why I stopped using the site until I get what I want. This is what is going to make me give up on reward sites (and by extension making money online in general) for good. You spend so much time trying to receive a small amount of money, and you usually have no guarantee you will even receive the money you have earned.